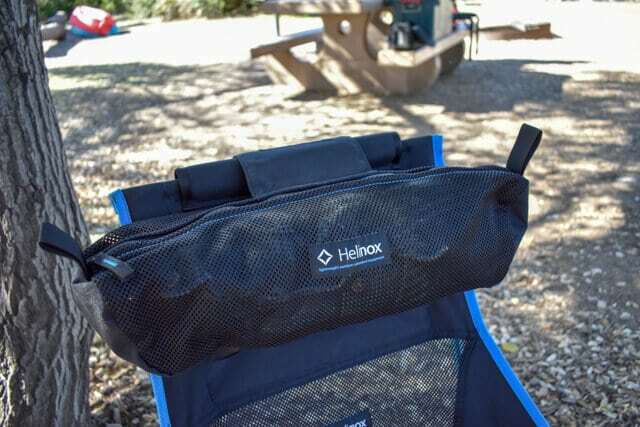 A light-weight and portable rocking chair from Helinox. The Helinox Chair Two is perfect for those tight on space looking for a well-built and comfortable camp chair. 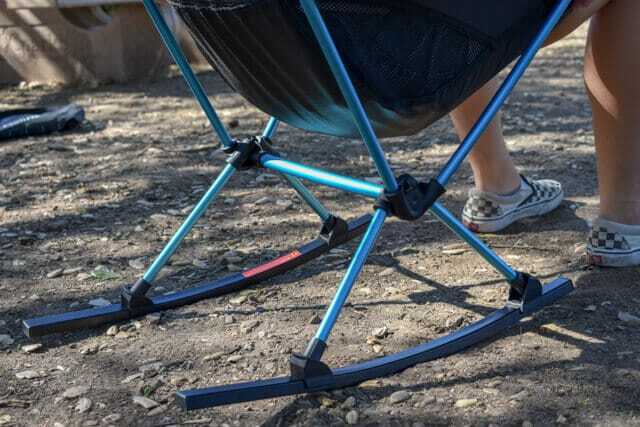 The Helinox Chair Two is a comfortable and compact camping chair with the added bonus of optional rocking chair feet. The Chair Two is made of aluminum alloy with a single shock-corded pole structure making for a quick and easy setup. The Helinox Chair Two features a tall back, compared to the more shallow Helinox Chair One, which adds comfortable neck and back support. 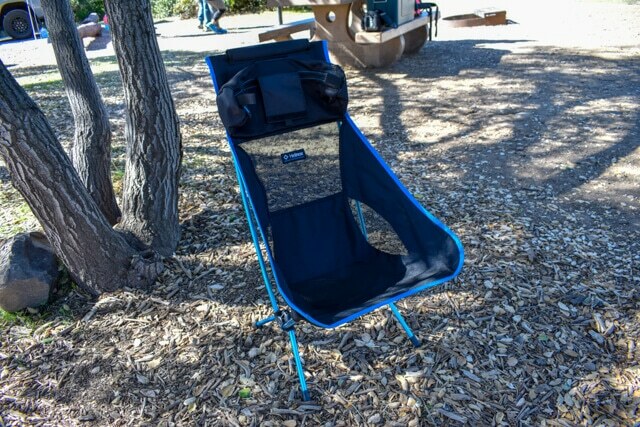 The included carry bag actually attaches to velcro on the chair back and can be filled with a towel or sweatshirt to form a pillow. Helinox does offer some accessories for the Chair Two, such as an inflatable pillow that can be used as well. In the past, I’ve used extra towels so I’m not sure the added expense of the inflatable pillow is necessary. At $179.99 the price tag on the Helinox Chair Two can be a little steep for some. It’s definitely on the luxurious side of camping chairs. 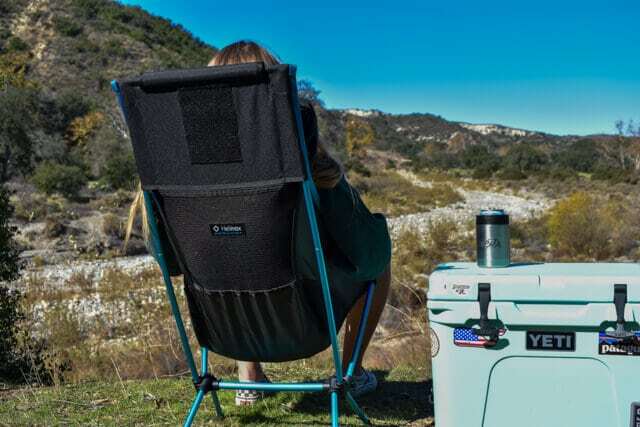 The Helinox Chair Two doesn’t include built-in cup holders like some camp chairs, however, it’s more built to be comfortable and compact rather than loaded with features. 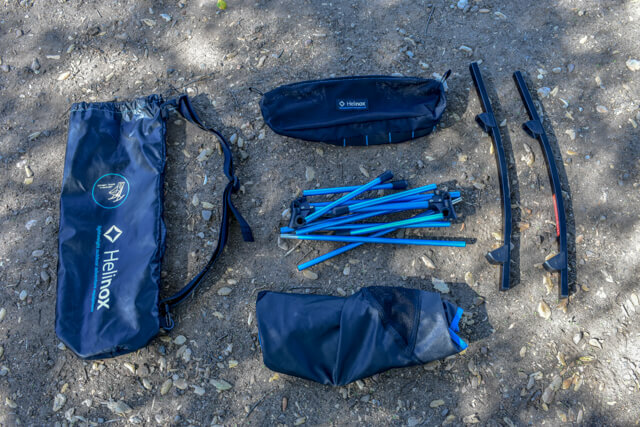 The Helinox Chair Two is a great option for those looking for a compact and comfortable camping chair. The chair feels stable and offers nice neck support which is nice for unwinding after a long day outdoors. The optional rocking chair feet are a cool added feature that distinguishes this chair from competitors. Because this chair is so compact, I usually keep it in the back of my truck so I have it easily accessible wherever I am.